The interpretation of the artists, the stage, the music, the light … create an exceptional environment that allows the viewer to enjoy a magnificent experience at the Tablao Flamenco El Palacio Andaluz. Some unique moments that we have immortalized over time. Some magnificent flamenco images that relate in a graphic way the story written by the artists who come up to our stage every night. 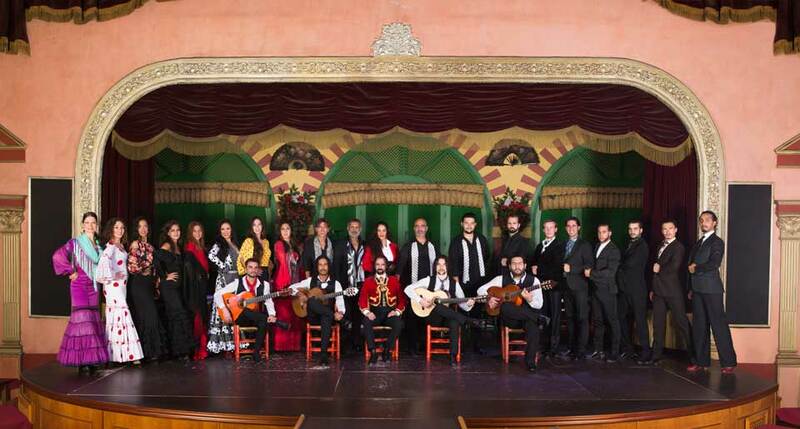 El Palacio Andaluz is the best flamenco tablao in Seville with a great history and tradition. An old factory, built in the nineteenth century, which keeps inside, keeps the essence of traditional Sevillian singer cafes. It has several floors and spaces decorated with Andalusian style and stamp. 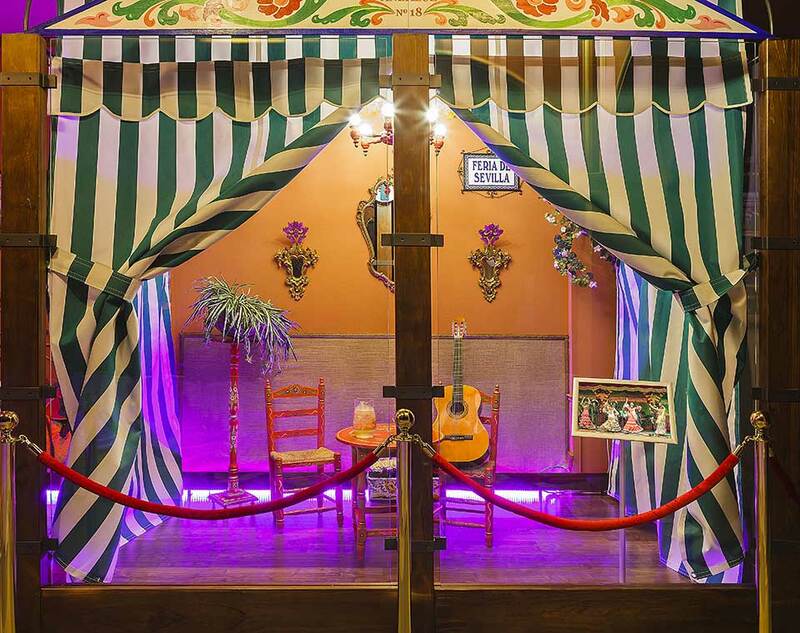 The room that hosts the flamenco show is a café-theater type with a direct view of the stage, which allows the viewer to enjoy the show to the fullest. The ground floor of El Palacio Andaluz houses ‘La Bodega Museo‘, an exhibition hall with photographs and objects characteristic of flamenco art and Andalusian identity. In addition, there is a recreation of a booth of the Seville Fair.